ATMA Result 2019: Association of Indian Management Schools (AIMS) will conduct the ATMA exam on 23rd December across various centers. After giving the exam, students become curious to know their score. Latest Update: ATMA 23 December 2018 Exam : Candidates can Print / download the results using PID and Password!! Check the link and process below. 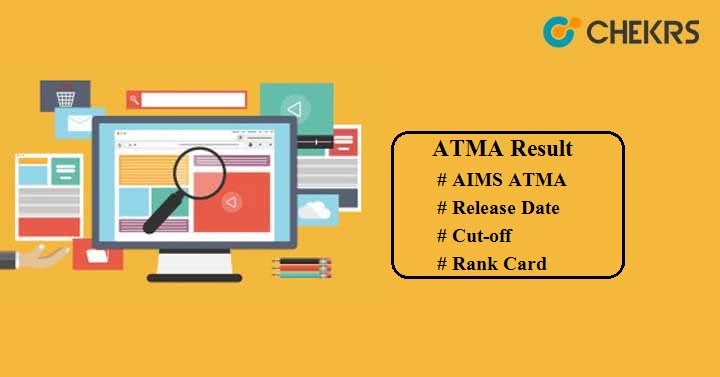 So here we have presented the way, through which you can reach out to your AIMS ATMA 2019 Result online. No other way has been entertained to get the results. AIMS has announced the Result Date on its official website. You can go there and check the important dates related to ATMA December session. With the help of simple point mentioned here, you will be able to download the ATMA Score Card. Go to the official website of AIMS. Click on the result download link present on the home page. Select Exam, ATMA Roll Number, Result Validation Key and then click on ‘Validate’ button. Your ATMA 2019 Result will be appeared on your computer screen. Save it to your folder for future use. Various Participating management colleges will upload the ATMA 2019 Cut-off on their respective official website. You will have to check the cut off marks at particular website of colleges in which you want to get admission. Here we have provided the expected ATMA Cut-off so that you can get an overview of the cutoff criteria. Based on the cutoff list released by each participating colleges, a separate Merit List will be prepared and made available to all candidates through online mode. Qualified candidates will be present in the merit list and they will be called for the next admission procedure. ATMA 2019 Selection Procedure will be done on the basis of Personal Interview and Group Discussion rounds. AIMS will send score card to the 5 colleges selected by you while filling the application form. Candidates who want to appear in the selection process, they will have to fill the admission form. After this, colleges will generate the call letter and send it to all candidates who will satisfy the cutoff marks or percentile. Based on candidate’s performance in the exam, Personal Interviews & GD round, seats will be allocated. For any further queries related to ATMA 2019 Score Card, you may contact us by commenting in the comment box below. We will reply you with the relevant answers.